 Hodgsons is committed to ensuring that your privacy is protected. Should we ask you to provide certain information by which you can be identified when using this website, then you can be assured that it will only be used in accordance with this privacy statement. We have appointed a Data Protection Point of Contact and this person is responsible for assisting with enquiries in relation to this privacy notice or our treatment of your personal data, should you wish to make contact please use the contact details as shown under Contact Us. You contact us be email, telephone, website. We are required by legislation, other regulatory requirements and our insurers to retain your data where we have ceased to act for you. The period of retention required varies with the applicable legislation but is typically five or six years. To ensure compliance with all such requirements it is the policy of the firm to retain all data in connection with Audits for a period of seven years from the end of the period concerned and up to seven years for all other data held depending on the regulatory requirements. You have the right to ask for a copy of the information Hodgsons holds about you. This privacy notice was last updated on 15th June 2018.